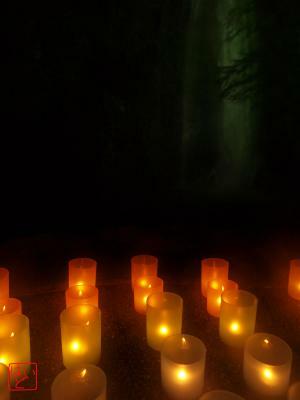 I visited Minoh Quasi-national Park yesterday to see illuminations with candles. 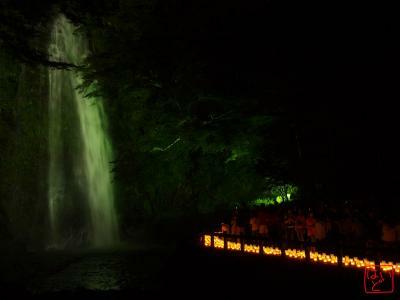 The park is famous for the Minoh Waterfall. 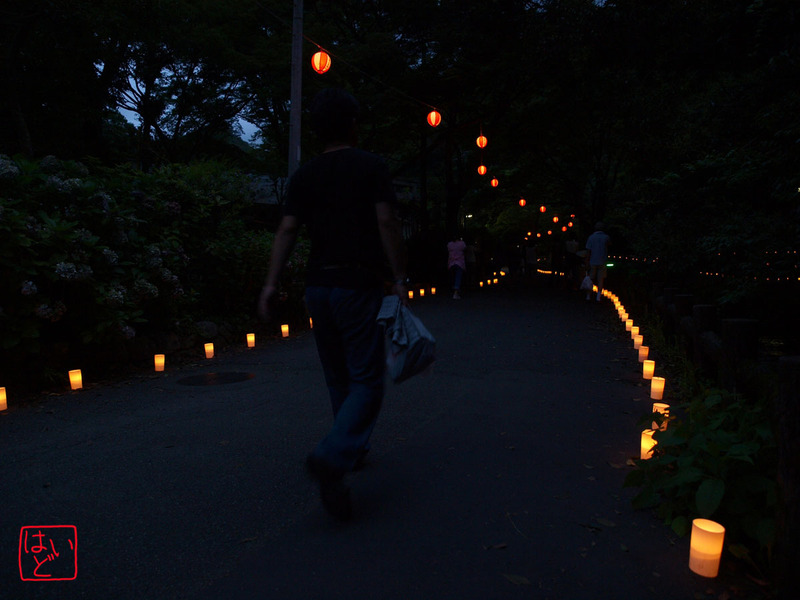 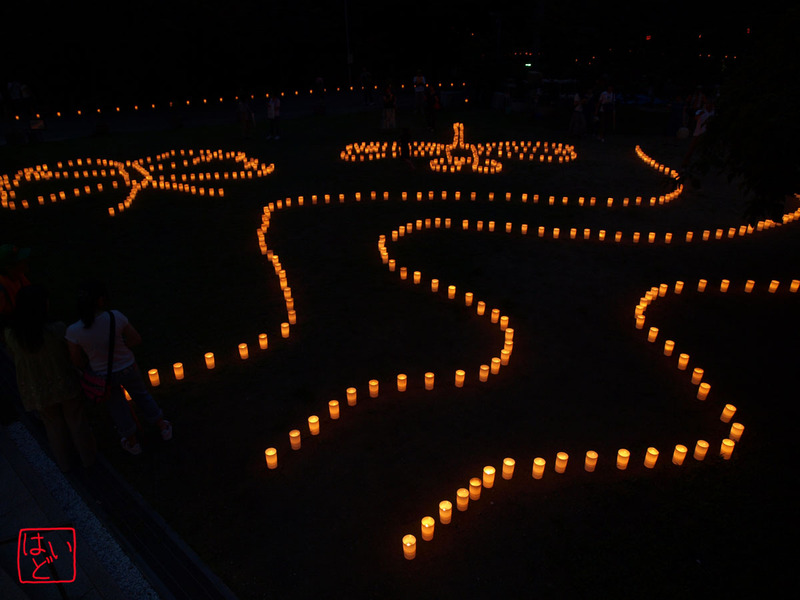 A road, called Takimichi, stretches from Hankyu Minoh Station to the waterfall and was lined with candles yesterday. 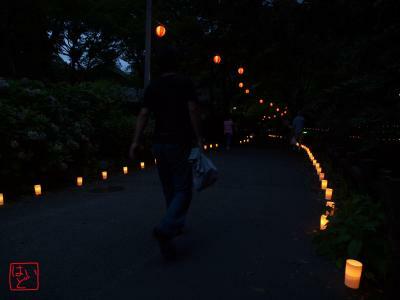 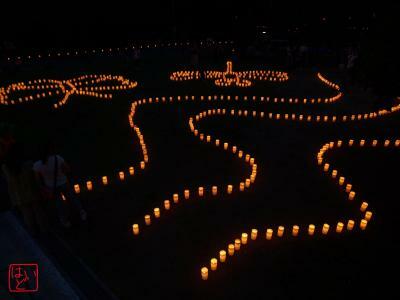 The road is 2.7 kilometres long, and thus about 4,500 candles were used for the illuminations. The illuminations started at 7 p. m.
It was a really fantastic scene. 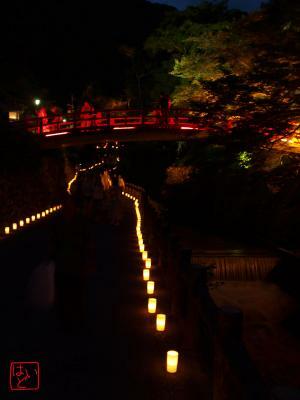 A lot of visitors enjoyed walking, seeing the lights of candles and paper lanterns, and hearing the evening cicada and the murmur of the Minoh River. The waterfall in the lights just showed subtle and profound beauty. 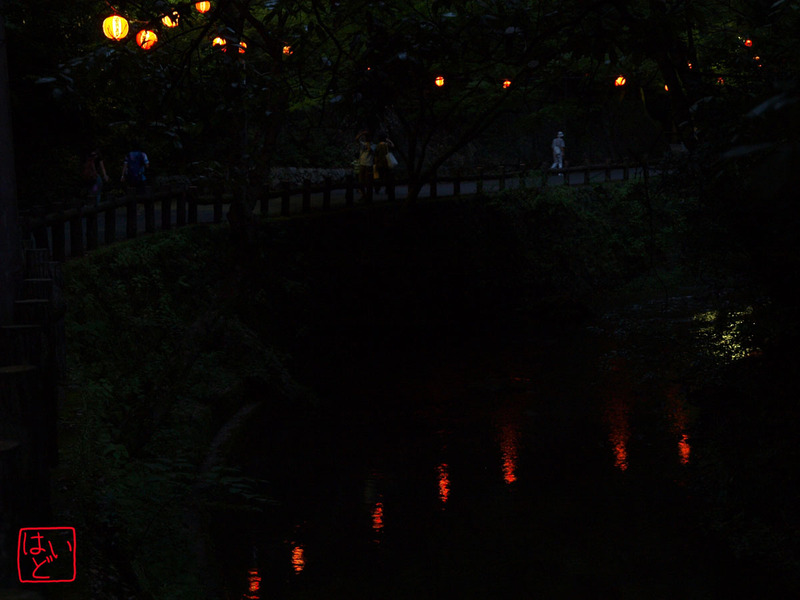 Everyone was deeply fascinated by the atmosphere. 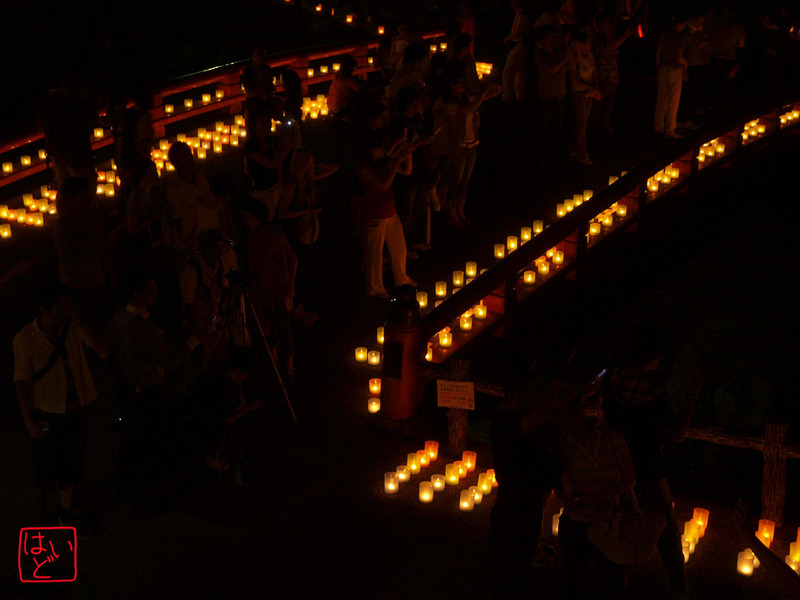 The candles were snuffed at 9 p. m.
I was reluctant to leave.